This acceptable use policy sets out the terms between you and us under which you may access our website http://www.winchesterelectricians.com (our site). This acceptable use policy applies to all users of, and visitors to, our site. 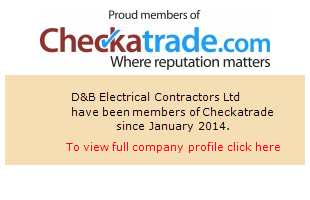 http://www.winchesterelectricians.com is a site operated by D&B ELECTRICAL CONTRACTORS LTD (we). We are registered in England and Wales under company number 8534112 and we have our registered office at 12 Milner Place Winchester, Hampshire, SO224AY. Our main trading address is 12 Milner Place Winchester, Hampshire, SO224AY. Our VAT number is 205793405.